Move-in ready Townhome in The Promenade Townhomes of West Meadows Community! Neutral paint throughout tile on the 1st floor and carpeting on the 2nd floor. Spacious, open floor plan. Sliding glass doors to your screened-in lanai makes this home perfect for entertaining or just enjoying the gorgeous views of the conservation lot directly behind the home. Kitchen has lots of cabinets and counters with a connected dining room. A half bath is also located on the 1st floor. Built in laundry closet on the 2nd floor, washer and dryer included! Ceiling fans & blinds throughout. Attached 1 car garage. HOA fee includes roof, exterior paint, lawn maintenance and landscaping. This community has 2 pools, including one just for The Promenade! Enjoy all the Amenities that West Meadows has to Offer - Club House, Tennis Courts, Lap Pool and Pool with Slide, Fitness Center, Playground, Park and Basketball Courts. 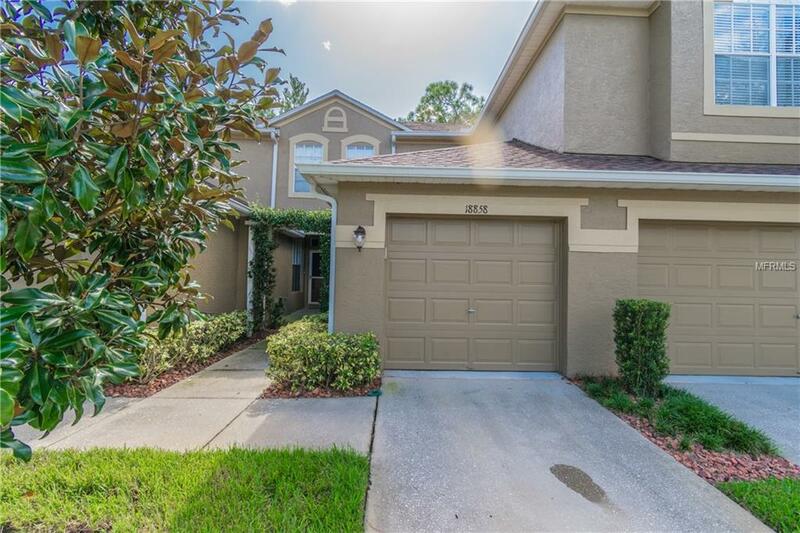 Conveniently located near all that New Tampa has to offer - Restaurants, Shopping, Top Schools, Veterinarians, Medical Centers, Houses of Worship, and major roadways including I-75 and SR 56. CDD Fee is included in Taxes. Additional Lease Restrictions Contact Hoa For Rules And Regulations. Pet Restrictions Contact Hoa For Details And Restrictions.